As a British Unitarian minister, in this post-Brexit hell I want loudly, and proudly, to proclaim my Polish roots . . .
Reports of “No more Polish vermin” signs left outside primary schools in Huntingdon. Other people I know have also began to note that similar kinds of things are happening elsewhere in the UK and, not just towards Poles. As a small act of solidarity I want to SHOUT OUT LOUDLY that my roots as a liberal, Unitarian minister of religion are POLISH and I'm out and proud about that. 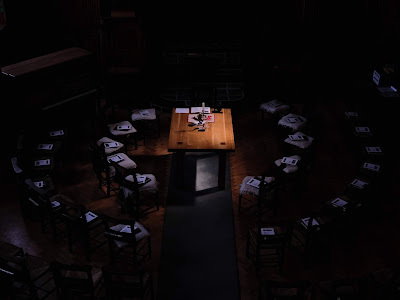 The first explicit Unitarian community was formally founded on June 10, 1565 in the Polish town of Brzeziny at the first synod of the “Minor Reformed Church of Poland”, better known today by the name of the Polish Brethren. As regular readers of this blog know for many, many years I've worn around around my neck a reproduction of a medallion produced in the sixteenth-century by the Polish Brethren. 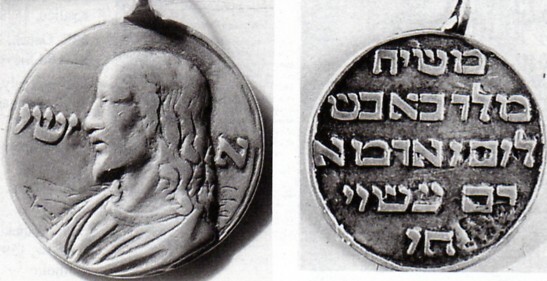 The French historian Albert Blanchard-Gaillard tells us that the medallion was worn by "young Polish Brethren of noble origin who, without superstition, loved Jesus and held him as their master and began, in the late sixteenth century, to frequent foreign universities, principally in Holland or Germany, to study under anti-trinitarian ministers or theologians." Because to be a Socinian (that is to say a Unitarian) was still at the time to risk execution across Europe the medal was, in addition to being a statement of faith, also a way of identifying each other without making their heresy too obvious. Additionally, because the inscription was in Hebrew it would not be understood by most people and so the wearer could either claim ignorance as to its meaning or, if it someone could read it, it could be given an orthodox spin. 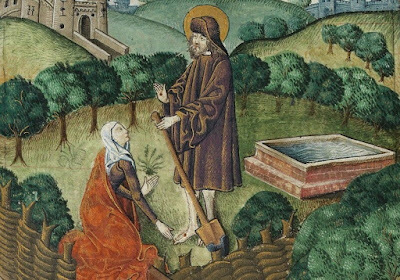 But to most it would be a simple symbol of devotion to Jesus (Revue Regard, no. 2, Summer 1997, Institut d’études et de recherches sur l’histoire, les traditions, la nature et les sciences, pp. 30-34). 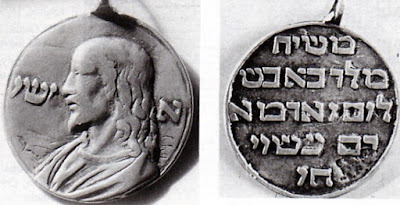 The medallion shows a beautiful picture of the Rabbi Jesus surrounded by the single word “man” (“ishi”) which is used in Hebrew in balance to the idea of God and so it has the additional connotation of ordinary, customary or common — i.e. that which is not God. On the reverse the (faulty) Hebrew can be rendered, "The Messiah of the Kingdom of Peace came in true human form.'" In this post-Brexit world — which is already beginning to look very nasty, brutish and ugly — my faith (inherited from my Polish forebears) that the Kingdom of Peace remains both desirable and possible remains as important as it ever has been.